I’m always following the Nobel, not only because it’s the most hyped of all the prizes in Literature, but crucially, I follow the Nobel in gratitude for introducing me to Jose Saramago. It seems unlikely now, but I hadn’t heard of Jose Saramago prior to his win in 1998, even though I spent the better part of the 1990s reading translated fiction from around the world. In any event, I rushed out, bought and devoured Blindness . This marked the beginning of one of my most satisfying relationships with a writer’s oeuvre. In 2013, the Nobel Committee awarded the prize to Alice Munro as a “master of the contemporary short story”. Alice Munro’s work is viewed by some uninformed, ignorant quarters as “narrow” because she only writes short stories about life in Western Ontario. (These folks don’t know that “small corners” of the world can illuminate much about the wider human experience.) So in 2013, I loved the Nobel again for elevating the status of the short story and for awarding the prize to one of the best practitioners for the form. Still, there are huge deficits. As of the 2015 prize, the Nobel in Literature has been awarded 112 times and only 14 of those have gone to women. The entire Nobel landscape is very hostile to women. There haven’t been nearly enough writers of color; the Nobel palette is pale (a situation not helped by Committee liking its own backyard too much for a “global” prize). There are language and regional deficits. Mahfouz is the only writer in Arabic who has won the Nobel. The spectrum of languages represented on the list of winners is mostly European (and even then one apiece for Finnish and Icelandic). America cries that it’s been 22 years since it won (it irks some that the last American to win is Toni Morrison. Haters gon hate but they also should read). Munro’s win for the North American continent must pain some folks. Still, speculation is the bag Nobel-watchers carry (and the bags are often empty) since the work of the Committee is shrouded in unnecessary secrecy and drama. We use a system of elimination and checkboxes which often fail, especially if the Committee resorts to obscure backyardism. 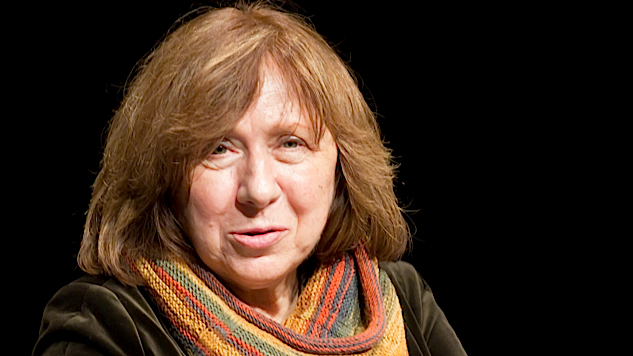 Yesterday, the 2015 prize was awarded to Svetlana Alexievich. This time the bookies were right; the odds on Alexievich were high. I suspect, as I’m finding out, that it has something to do with the translation of her books into Swedish, their availability in Sweden and her deserved popularity in Nobel land. (I won’t segue into a rant about the deplorable stats on translated fiction in the Anglophone world. no). According to Sara Danius, the new Permanent Secretary of the Swedish Academy, Svetlana Alexievich has “actually devised a new kind of literary genre… Her literary achievement is material and also form”. Zinky Boys: Soviet Voices from a Forgotten War – a collection of first-hand accounts from the Afghan war. (Very few of her books are available in English. Next year, Fitzcarraldo will release Second-Hand Time, an oral history about “nostalgia for the Soviet Union”). I’ve been reading excerpts of her work on the web and my first impression is: her tone, her questioning reminds me a lot of the Polish poets Milosz and Szymborska, which probably is me projecting my favorites onto her palette. There is a lot of talk describing Alexievich’s win as political. She’s a fierce critic of Putin and things like that. When has being political and speaking out been a bad thing, a thing to set aside? 2015 is a good prize. Congratulations to Svetlana Alexievich! When she was asked about the prize, Alexievich said it evoked writers like Boris Pasternak and Ivan Bunin. She says the prize money will buy her freedom for her next book (and a couple more, I suspect). She has won many other awards and to the Anglophone world, especially insular American readers, don’t whine. Voices from Chernobyl won the 2005 National (yes, the United States) Book Critics Circle Award. Somebody knows of her and has read her book in the US. The 2015 edition of the Nobel in Literature is now done and dusted. Let’s hope 2016 also ends on a good note. If it doesn’t (a strong possibility), I’ll just stay quiet. 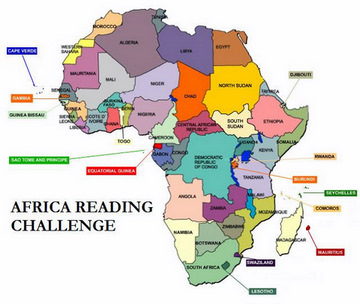 Oh, and we’re still rooting for Ngugi. Have a good weekend y’all. (Re)read a Saramago. Or tell me your thoughts on this year’s Prize. Who are your favorite Nobelists? I really enjoyed reading this post – so well put together. I got a sense of your personal reading history and tastes and learned some intriguing Nobel facts and figures. thanks! Kinna, you sound wickedly authoritative and witty. Fantastic!